People don’t read documentation. 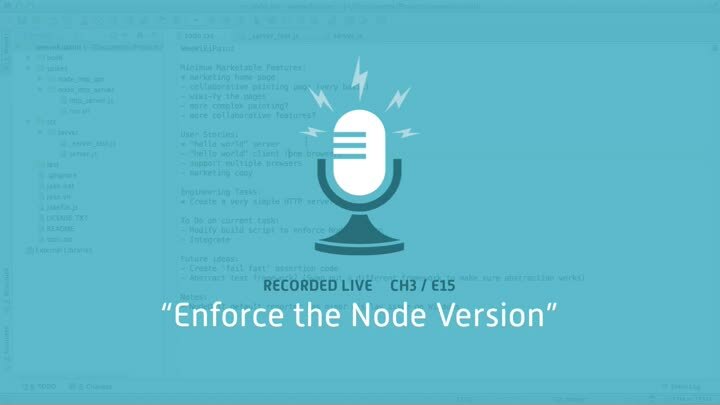 So when we set out to prevent the Node version incompatibility (in episode 11) from ever happening again, documenting the version isn’t enough. Instead, we modify our build to fail when the version is wrong. We get the version by shelling to a process, which turns out to be unnecessary, but it’s good to know how to do.